On a weekly basis, FCAs edged higher by $1.28 billion to $373.43 billion during the week ended February 1. Country's foreign exchange (forex) reserves has again crossed the $400 billion-mark after a period of around five months. "Reserves crossing the $400 billion-mark after 5 months is an indication that RBI is building up the reserves. It seems they are buying US dollars to augment reserves," Anindya Banerjee, Deputy Vice President for Currency and Interest Rates with Kotak Securities, told IANS. "Till recently, the RBI was engaged in defending the rupee and arresting the currency's fall." According to the Reserve Bank of India (RBI)'s weekly statistical supplement released on Friday, the reserves rose $2.06 billion during the week ended February 1. The overall forex reserves increased to $400.24 billion from $398.17 billion reported for the week ended January 25. Country's forex reserves comprise Foreign Currency Assets (FCAs), gold reserves, Special Drawing Rights (SDRs) and India's position with the International Monetary Fund (IMF). 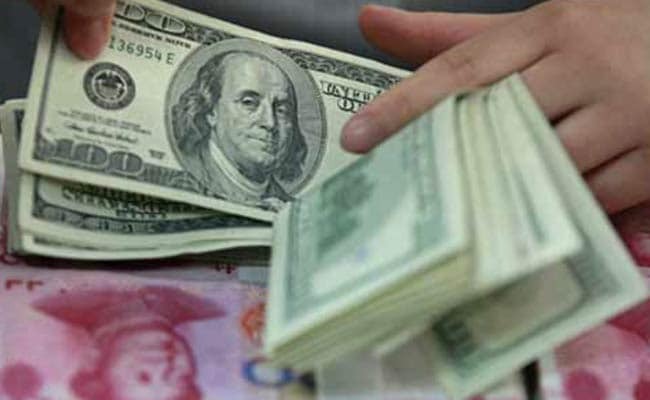 On a weekly basis, FCAs, the largest component of the forex reserves, edged higher by $1.28 billion to $373.43 billion during the week ended February 1. The RBI's weekly data showed that the value of the country's gold reserves rose by $764.9 million to $22.68 billion. The SDR value inched up by $6.2 million to $1.47 billion, while the country's reserve position with the IMF rose by $11.2 million to $2.65 billion.